Effect: One sword splits into 11, all float until grabbed by the user if grabbed by someone with a different chakra nature poisoned spikes shoot out that can send a person into a comma within ten posts and weaken them from the first time they have the poison enter the blood. 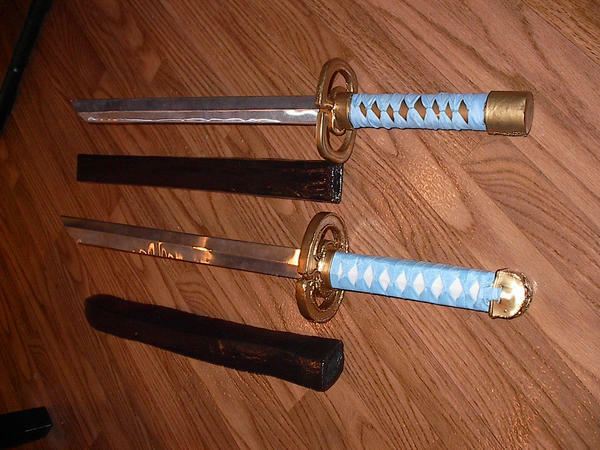 The spikes are as hard as the blade itself which is rumored to be diamoned edged. Effect: The second sword is able to expand on comand it can shrink or grow from anywhere from one inch to five meters. Aye yai yai. Approved unless rejected by another moderator or admin.